A Walk into the Woods – Fly, fly, fly!!! The Mystery Behind, Beyond, and Beneath the Sea, weaves a Poem of Awe. When dreams come true, this is how exhilarating you feel. I started my journey with Dreamz Forever in 2007. It’s been 11 long years of amazing growth, struggles, learning, highs and lows. What’s stayed is the little girl inside me. She feels amazingly alive today. Who thought I could sing? I mean, I thought I had a coarse voice. Singing? What is the equivalent of ‘two left feet in dancing’ for singing? But hey, technology can make wonders happen! I haven’t blogged for so long. There is so much to write but when I have the WP ‘block’ editor in front of me, my mind also becomes as blank as the pristine white editor. I just can’t seem to get used to this ‘block’ editor!! I have had the worst experience with the Times Group – the ToI and every entity associated with them. They can do ANYTHING for money – look at all the so-called awards that they have hanging at virtually every shop in every domain – calling themselves “Awarded Best so and so in City by Times of India” etc etc. It’s all money making schemes. They are very aggressive in their approach and make money by awarding organizations titles. I just can’t express how irritated I am – I browsed Times Jobs YESTERDAY and guess what? Within 24 hours, they shared my contact details with this recruitment agency called Recruitment Crew – should be Crooks actually.. now these folks, have called me 5 times in the last 2 hours. And one of them DID confess that they got my details from TimesJobs. Each time, I have said no, I am NOT interested in your services. But EACH time, apparently, my number is passed to the next vehla customer care executive who calls and says the same thing. WHO will take accountability of the data we share? THIS is unethical and the only way to end this is to boycott Timesjobs. Simple. When I bought their Step Ahead Resume Zapper service 4 years ago, trust me, I did not get even a single call from a consultant on my job search. Now, my problem was not with sharing of data, but sharing it without permission (I won’t be surprised if there is fine print somewhere to protect them, but no sir, what’s not sought explicitly is not in existence for me). And, these companies like Recruitment Crew, hounding you relentlessly, without putting checks in place (Has this lead been contacted? Interested / Not interested?) Shouldn’t one crew member be dealing with one lead only??? Why should a user receive FIVE unsolicited calls from the same company over and over again? First, I did not give my details to you directly. Third, if you want me to take your services, then display professional ethics – don’t behave like those zombies that fall upon their prey in hoardes. Help pass on this information to everyone. Just stick to LinkedIn and/or Naukri. 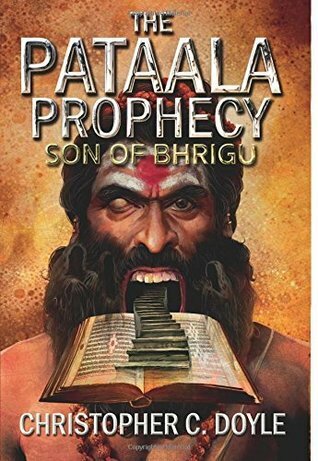 I recently completed reading a new book, Son of Bhrigu (AKA The Pataala Prophecy) and simply loved it. You can read my review on Goodreads here. Want to be a Titan? A Digital Titan? Well, rarely do I come across quality in capitals – yes, QUALITY. I discovered this video blog by Krishna Chaitanya, a senior digital marketer (an ex-Googler). The video is all about latest news from the Digital industry – and it’s great! What a way to stay updated and some of his updates are about upcoming releases, stuff you wouldn’t come to know about, unless you are subscribed to umpteen digital news magazines and stay on top of them regularly. Check out his videos (Digital Marketing Daily Digest) and don’t forget to subscribe if you want to be in the game and on top of the latest happenings in the digital domain. I am enjoying the series “SUITS” so much, the way law works in the US, assuming what they show on TV / Netflix is close to real, just amazes me to no end. Before this, I watched “Drop Dead Diva” and fell in love with Jane Bingham. Absolutely thrilling series with an unputdownable quality to it. For 5 years, my television served the purpose of a decorative piece on the wall. Suddenly now, there’s Netflix and a whole world of entertainment, awareness and learning has opened up. Random Pic Random Post 10: So Embroidered! I love this stuff just too much! You can order this for your home’s main door by commenting below. Meet Aastha and Sanskar: I am excited!! Aastha is the brand name of women’s clothing brought to you by Patanjali, YES, our very own Baba Ramdev ji!! And Sanskar is for men and kids. I am having an insomniac’s night out and just happened to stumble upon this “Ghanti Bajao” on ABP News – Baba Ramdev ji’s offering for this Dhanteras and Diwali – a new desi clothing line!! Wowieee… !! I am all for trying this stuff.. I was so so excited. I love clothes – and this is my blog post just in anticipation of what is coming up from Baba Ramdev ji’s potli. 😛 Yes, pun definitely intended. I wouldn’t call myself a fan of Babaji, but I most definitely respect this man – he has brought our culture of Ayurveda onto the world map like no one else.. and of course, onto India map too, while it was fading away into the dark valleys of ‘history’. On the 5th of November, Babaji inaugurated his first apparel store ‘Patanjali Paridhan’ in Delhi, with his brands Livefit, Aastha and Sanskar. I know, I know – many smirks and quirky smiles from many of you. But hey, I give it to this ‘Go(o)d’ Man – he definitely knows how to ‘make’ India ‘made in India’. And I love the statement he made two years ago, when he announced his entry into the apparel business, “Just because I am a baba does not mean we cannot marry modernity with spirituality, we can make, let’s say desi jeans.” Whatever that means, but at least, he is not one of those who blindly reject western culture and hide their heads in the sand, not willing to accept that western culture has very much seeped into our DNA and has now become one with our culture. Baba ji is one Baba I’d love to meet one day!! I am witness to his medicines having cured my pet dogs too – and although there hasn’t been any research on the effectiveness of his medicines on animals, I know – for sure – because they HAVE cured my pet dogs. Yes, Tulsi Ghanvati, we give it with confidence. After all, it’s natural!! @Baba ji, if you ever wish to get inputs, you know who to approach – these meds really work even on pets. Okay, let me not digress and come back to the main subject – clothes!! Like any other woman, I love clothes, and I am waiting for the Patanjali Paridhan to come to my city!!! My next blog will review the clothes (I don’t know when, but will) whenever I get to try them. Apparently, the clothes have been enhanced with the scents of ‘kasturi’, chandan, etc. patanjaliayurved.net – pretty cool, they have COD as well!! patanjaliayurved.org is the other website that has a wealth of information on the science of Ayurveda, Yoga, etc. Also check out his absolutely unbelievable Swadeshi Samriddhi Card, something akin to a cashback card with lot of benefits. If the post seems like I am promoting Patanjali, I think yes, I surprised myself too. But hey, it’s okay.. worth it. Do come back and comment if you happen to be from Delhi and/or have a chance to try Patanjali Paridhan. That’s Me. The lady on the broomstick. Does your signature spell ‘luck’? Click here to see how you can get a signature that is built to bring luck your way. Tweets in the Woods, Obviously! !